Climb 3,040 meters on foot to simulate this brutal race. Celebrate one of the most up and down trail races in the U.S. by joining The Rut Climbing Challenge. 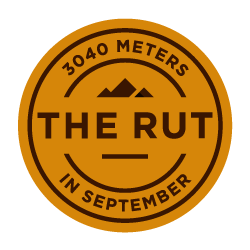 The Rut scales 3,040 meters over the course of 50 kilometers. You can climb as many feet all at once or over as many runs as you like. Either way, cover 3,040 m of elevation this month and you’ll get a digital finisher’s badge to proudly display your climbing prowess in your Strava profile. Athletes who complete this Challenge will receive a the Rut Climbing digital finishers badge in their Trophy Case.